This intense green stone with beautiful banded masses is a copper-based mineral. It’s often found together with Azurite and Chrysocolla. 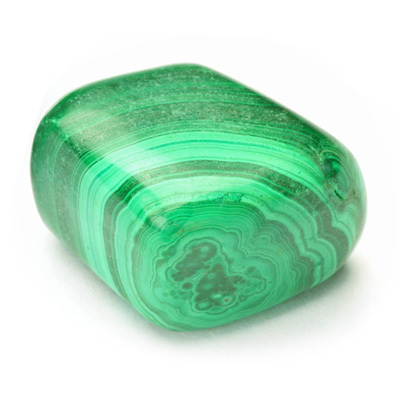 Malachite has been valued as a gemstone since ancient times, used as an amulet against enchantment, and considered a Goddess Stone, representing seduction, beauty, and the arts. 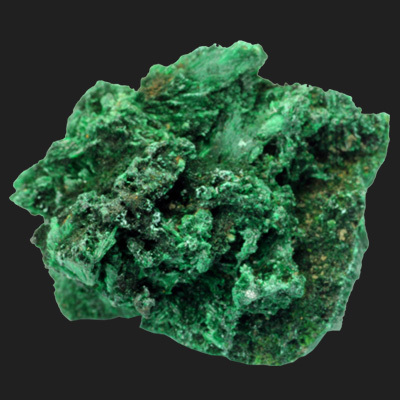 A copper based stone, Malachite was crushed and used as pigments. Archeological evidence indicates that the mineral has been mined at Timna Valley in Israel for over 3,000 years. In ancient Egypt the color green was associated with death, resurrection as well as new life and fertility. They referred to the paradise of afterlife as the ‘Field of Malachite’.